Deputy President Cyril Ramaphosa has arrived in Windhoek, Namibia ahead of Dr Hage Geingob’s inauguration at the weekend, the presidency said on Friday. “South Africa enjoys strategic political and economic relations with Namibia,” his spokesman Ronnie Mamoepa said in a statement. Ramaphosa would be accompanied by International Relations Minister Maite Nkoana-Mashabane and South Africa’s High Commissioner to Namibia. He is attending the inauguration on behalf of President Jacob Zuma, who would be attending Public Service and Administration Minister Collins Chabane’s funeral on Saturday in his home town Xikundu, in Limpopo. Chabane and Sergeants Lesiba Sekele and Lawrence Lentsoane were killed on Sunday morning when a truck allegedly made a U-turn in front of their car on the N1 between Mokopane and Polokwane in Limpopo. 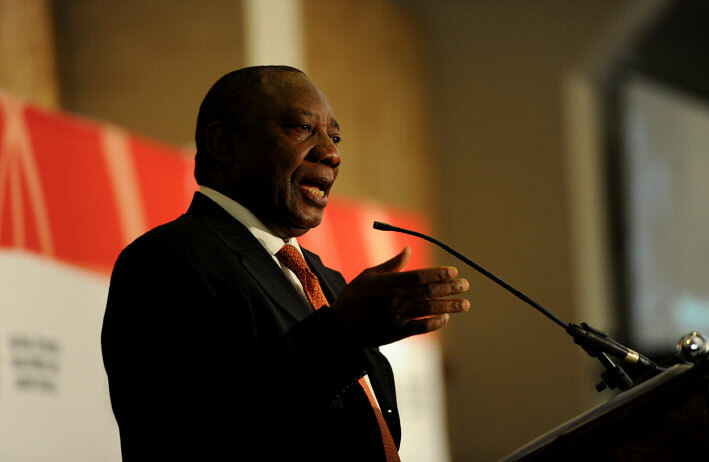 Ramaphosa was expected back in the country later on Saturday.